Eduniversal identifies and promotes the academic strengths across a range of institutions. In this way, the Eduniversal Best Masters&MBAs ranking is a real source of information, most commonly used by prospective students and companies to identify the quality of a school, but also of a program and its graduates. Thanks to the Eduniversal Best Masters&MBAs survey, current graduating students from each program have the possibility to share their satisfaction about the program that they’re enrolled in. Their participation is an important part of the ranking, and allows us to further improve the legitimacy of our evaluation. Indeed, what’s better than current students to speak to prospective students ?! Simultaneously, the Eduniversal Best Masters&MBAs survey values the expertise and knowledge of recruiters. As a result, Eduniversal classifies and highlights Masters and MBA programs which prepare and graduate the most competent students into the global workforce. Who are concerned by the Eduniversal Best Masters Ranking ? Eduniversal identifies and promotes the academic strengths across a range of institutions in 154 countries. The Eduniversal Best Masters ranking concerns the 1,000 institutions considered by Eduniversal as the best in the world, and their affiliated entities. The Official Selection of the Best 1,000 institutions in 154 countries is annually reviewed by the Eduniversal International Scientific Committee’s members. Eduniversal classifies and highlights global Masters and MBA programs which prepare and graduate the most competent students into the global workforce. The ranking values the expertise and knowledge of HR representatives which indeed help us with how we rank institutions and programs. Feedbacks we receive from students about the programs that they’re enrolled in give the Eduniversal ranking team deeper insight in the quality of the institution and the quality delivery of their academic programs. By answering our survey, students have the opportunity to share thoughts and pinions on their academic expertience which we have found this to be particurlarly resourceful to prospective students. Indeed, every year, more than 4 250 000 students all over the world refer to our ranking to find their dream program. *The language of instruction isn’t limited and can be a native language of the participating institutions. In addition, the ranking doesn’t focus on specifically international programs, and domestic programs also are analyzed. Each participant of the Best Masters survey influences the results of the Eduniversal and MBA Ranking, which is published annually on our official website www.best-masters.com. As a result, sharing opinions on the Masters/MBA programs you credit the most, you are involved in the creation of a tool, used worldwide by schools, students, and HR specialists. International visibility and exposure through strategic promotions through our Eduniversal Masters and MBA Ranking. Our rankings, used by millions of students covering all over the world, allows access and outreach to the most talented students worldwide. The rankings also provides an international platform where institutions can market and showcase their unique strengths. Identify new partners for international cooperation. Through information provided in the ranking, institutions can identify the expertise for potential collaboration with new partners. With a strong focus on robustness and accuracy, the Eduniversal Evaluation System has developed a Methodology to rank and evaluate the Best Masters and MBA programs worldwide. 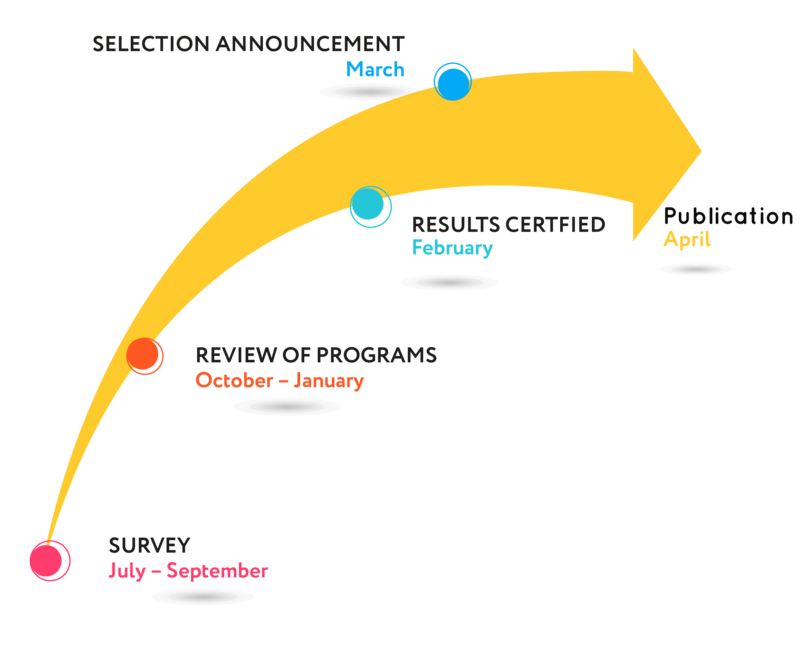 A survey comprised of 11 questions sent by e‐mail to graduating students to assess satisfaction with the completed program. A minimum of 10% of the students in each program must reply to be scored. • 1st and 2nd question : 25 % each of the score. • The 9 questions left : 50% of the score. Programs with more than 7 different nationalities registered in its programs. Programs having more than 7 different nationalities from at least 3 different zones. Programs which offer Distance Learning. 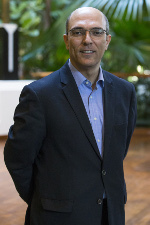 Sherif Kamel is professor of management and vice president for information management at the American University in Cairo (2015-present). He was founding dean of the School of Business (2009-2014). Kamel led a major repositioning of the school by adopting a multi-tier thematic approach that included entrepreneurship, innovation, leadership and responsible business. In 2014, he successfully led the school to AACSB, EQUIS, AMBA and ACCET accreditations joining 70 business school in the world that are known as triple-crown accredited. In addition, he helped establish the Center for Entrepreneurship and Innovation and the university’s Venture Lab becoming Egypt’s primary university-based incubator. He was associate dean for executive education (2008-2009), and director of the Management Center (2002-2008). 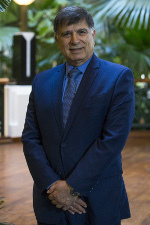 Before joining AUC, he was director of the Regional IT Institute (1992-2001) and managed the training department of the Cabinet of Egypt Information and Decision Support Center (1989-1992). He is a member of the AACSB International Middle East Advisory Council (2015-present); and the Egypt-US Business Council (2013-present). He was executive VP of the American Chamber of Commerce in Egypt (2012-2015) and member in the World Bank Knowledge Advisory Commission (2012-2014). He holds a PhD in information systems from London School of Economics and Political Science (1994), an MBA (1990) and a BA in business administration (1987) and an MA in Islamic art and architecture (2013) from the American University in Cairo. Prof. Dr. Aneeta Madhok (PhD, CMC, GPHR) is Managing Director at Open Spaces Consulting and has been the Dean (Center for Human Resources) at S.P. Jain Center of Management, Dubai and Singapore and Dean (School of Business) at NMIMS Deemed University in India. 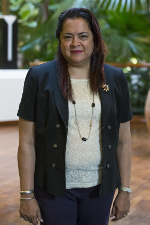 She has contributed to the consulting profession as Chairperson of the International Council of Management Consulting Institutes (ICMCI) (2009-2011) over 49 countries worldwide, and is a global expert on Professional Development and Knowledge in the areas of Management Education, Human Resources and Management Consulting. Virginijus Kundrotas is Doctor of Social Sciences (Education), Dean of Adizes Graduate School (USA), Managing Director of Adizes Institute for Lithuania, and certified Adizes Associate in the Adizes Methodology for Organizational transformation and change. He is President of the Baltic Management Development Association (BMDA), Vice-president of Central and East European Management Development Association (CEEMAN); Member of Editorial Board of Baltic Journal of Management (UK), member of International Scientific Committee of the EDUNIVERSAL - Official selection of World Business Schools (France), Member of the Board of Trustees of Almaty Management University (Kazakhstan). He also serves as a Board member of Lithuanian Free Market Institute, VilNews on-line magazine, and number of other institutions. Dr. Virginijus Kundrotas is Founding President of ISM University of Management and Economics, Lithuania (first private HEI in the country) performed in this position from year of establishment in 1999 till 2008. Virginijus Kundrotas delivers trainings and consults various organizations around the World on Change Management, Organizational transformation, Leadership, Business ethics and Corporate responsibility. He also coaches managers of various business and non-profit organizations. His extensive practical experiences and practice of managing organizations as well as deep theoretical knowledge of various management methodologies and approaches, makes him easy understandable and very well accepted among CEOs and other managers within companies. Dr. V.Kundrotas is visiting professor at number of Business Schools in USA (Adizes Graduate School), France (Kedge Business School), Poland (GFMD), Czech Republic (Prague University of Economics), Latvia (RTU, RISEBA, BA Business school), Lithuania (ISM University of Management and Economics, KTU), Kazakhstan (ALMU), Russia (IBS, Moscow), etc. Dr. V. Kundrotas is a Founding President and member of Kauno Tauras Rotary club as well as member of Vilnius International Club. Nehme Azoury is a Professor and Deputy-President for research at the Holy Spirit University of Kaslik – USEK. He is also one of the eight members of the scientific committee of Eduniversal (the representative of the Eurasian region). Prof. 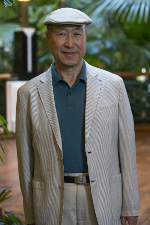 Sung Joo Park is the former Dean and Vice president of KAIST (Korea Advanced Institute of Science and Technology). He is currently a professor emeritus at KAIST Business School. Holding a PhD from Michigan State University, he was also the founding president of AAPBS (Association of Asia-Pacific Business Schools,), and served as board members of the AACSB and the GFME (Global Foundation for Management Education) and is an advisor to EFMD. Also, he served as an advisor to Samsung Group and is a lifetime member of Korean Academy of Science & Technology. 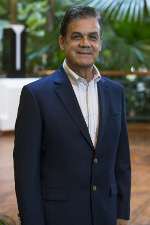 Prof Dr. Edson Luiz Riccio is a well-established Researcher and Senior Professor at the School of Economics Business and Accountancy, University of São Paulo (USP). His areas of teaching and research are: International Management and Business Information Systems. He was the Director of International Office for the School of Business for 20 years, from July 1996 to October 2016. He continues to support the international office as the International Education Advisor. He is founder and Editor of the Journal of Information Systems and Technology Management (ISSN 1807-1775) ; founder and Chair of CONTECSI – International Conference on Information Systems and Technology Management (ISSN 2448-1041); Founder and Director of TECSI – Research Lab of Information Systems and Technology Management. He is founder and President of the Brazilian Chapter of AIS – Association for Information Systems. He holds a PhD in Business Information Systems from USP and an SEP in International Management from Stanford University. His professional career includes long experience in top executive positions such as CIO and Chief Officer in international companies as well as Senior Leader Consultant of Organizational Projects for regional and federal Government in Brazil. 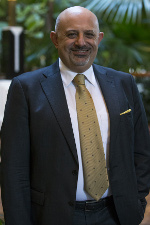 Dr. George Jabbour is the Associate Dean for Executive Education, Professor of Finance, and Director of the Masters in Finance Program at The George Washington University School of Business. He has been a consultant and conducting professional training for the World Bank Group in Washington DC (USA), Vienna (Austria) and Islamabad (Pakistan), for The International Training Banking Center in Budapest (Hungary), the Center of Excellence in Management in Kuwait, and for Kipco Asset Management Group (KAMCO) in Kuwait. He was a Visiting Professor at Franklin College in Lugano (Switzerland), Dongseo University (South Korea), Holy Spirit University-Kaslik, Sorbonne University in Paris (France) and Renmin University in Beijing (China). He developed curriculum for BBA and Msc degrees in business and finance. He has several publications in professional refereed journals. He co-authored “The Option Trader Handbook” for trade adjustments. His research papers were presented in the US and around the world. He is a member of several leading professional finance organizations. He is a member of the editorial advisory board of five journals. Four of his co-authored papers won the best paper award. He has received several Teaching Excellence Awards. In addition to his academic career, Dr. Jabbour is very active in equity and derivatives trading. He was Senior Financial Analyst at Federal Home Loan Mortgage Corporation and a consultant to several American corporations and international organizations. He has a Ph.D. in Finance, an MBA in Finance, a BBA in Marketing, and BS in Mathematics. 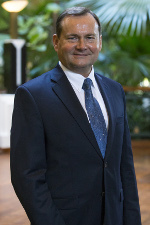 Mike Wood’s career is diverse: he has been a journalist, academic, senior public servant as Public Service Commissioner, chair of the WA Salaries and Allowances Tribunal, director of his strategy company and Dean of the Curtin Business School. In this role, he lead his school to become the first Australian business school to earn any tick of international quality when CBS was accredited in 2000 by EQUIS. 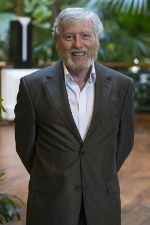 At present, he is an adjunct Professor at the University of Notre Dame Australia in the Business School at its Fremantle campus and continues his international accreditation work. Mike taught public policy at the University of Tasmania, at Curtin and UWA. When in the public service, he contributed to the reform of Cabinet processes and to local government grants funding as chair of the WA Local Government Grants Commission. He has published on Australian local government , state administration, electoral behavior and federalism. He is chairman of Member (trustees) for Ruah Community Services. 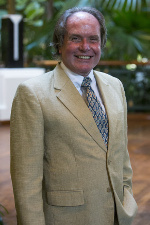 Axel Schumacher is advisor for several Business Schools in Europe. Before, he was Associate Dean for International Relations at the Business and Law Schools of the EBS Universität für Wirtschaft und Recht (EBS University of Business and Law) in Oestrich-Winkel and Wiesbaden (Germany) between May 2002 and December 2015 and Director of International Programmes at WHU, Otto Beisheim School of Management (Germany). He has been working in the field of International Relations for more than 30 years. Over this period he has initiated more than 300 university partnerships in 55 countries around the globe, including 50 dual degree agreements at the undergraduate and graduate levels. He has published research papers and contributed to books on the Concept of Private Universities in Germany and on Strategies of Internationalization for Business Schools. Eduniversal places a huge emphasis on student opinion, which is why we make great efforts in making their voices heard. In this way, students’ opinion plays an important role in our data analysis, and the examination of the students’ satisfaction allows for a more robust and precise program evaluation. Indeed, what’s better than a current graduating students to speak about the program in which he’s enrolled in ? In this way, the students’ satisfaction criteria contributes as a result to a third to our final ranking decision. However, a students’ satisfaction mark is given to the relevant program when at least 10% of the current graduating students have answered the survey.